Food labels and symbols have been made mandatory for food manufacturers by government by almost all countries in the world . High consumer awareness and anxiety for food related issues among masses made regulators to take note and implement laws for food manufacturer . 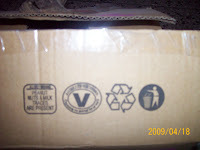 Any one buying food products must check following things which are available on packaging . Manufacturers have to declare their name and address of manufacturing unit . Sometimes third party manufacturers are involved their name and address would be mentioned along with the marketing firm or principal owner of the product ,in case of any complaint please write to the address mentioned or visit that manufacturing unit. List of ingredients used are mentioned on the packets so as to make consumer aware of the contents involved in manufacturing of the products . If you averse of any ingredients then you can select any other item .This is mandatory for manufacturer so as to protect consumers from adulteration . This has been recently been added to labels by regulators . Allergen are highlighted in bold by the manufacturers on packets . such as "" traces of nuts and milk present "". Check the declared weights as there are chances that prodcut might be underweight . Some products require special storage precaution . This is fro tracking product in case of manufacturing defects or problem the batch codes helps in recall.